← Hundreds of teachers go on protest across Iran! 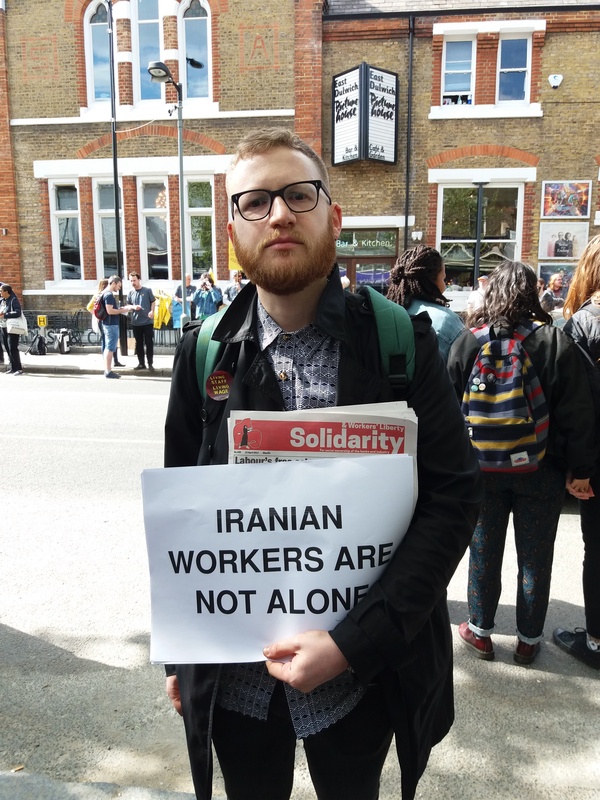 In the run-up to May Day British trade unionists and socialist activists have been showing their support and solidarity for Iranian workers and their struggles for independent organisations, the right to strike and the release of all jailed workers. Here are some of those who supported the campaign. Three reps from striking Picturehouse cinemas – Obi Saiq (Hackney), Tom (East Dulwich) and Kelly Rogers (Ritzy) – showing their solidarity with Iranian workers’ struggles. 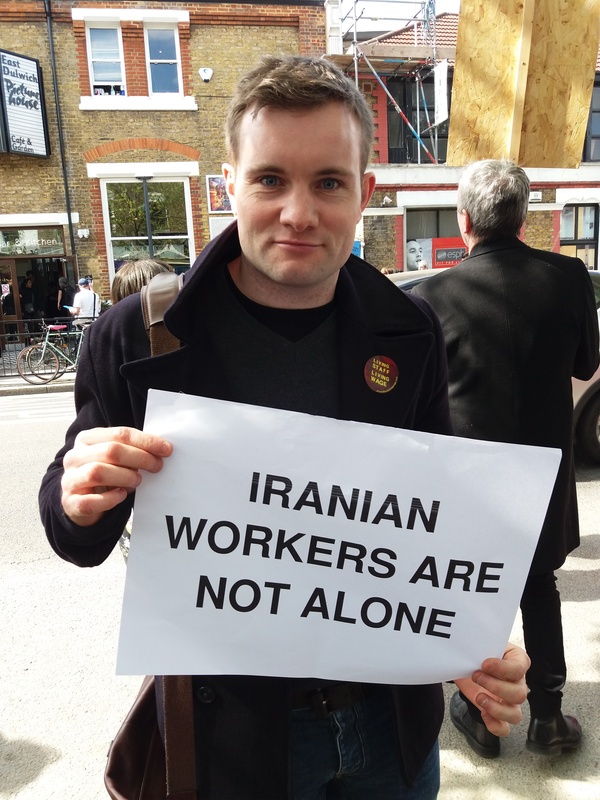 Daniel Randall, RMT rail and transport workers’ union London Transport committee Young Members’ Officer, showing his solidarity with Iranian workers’ struggles. 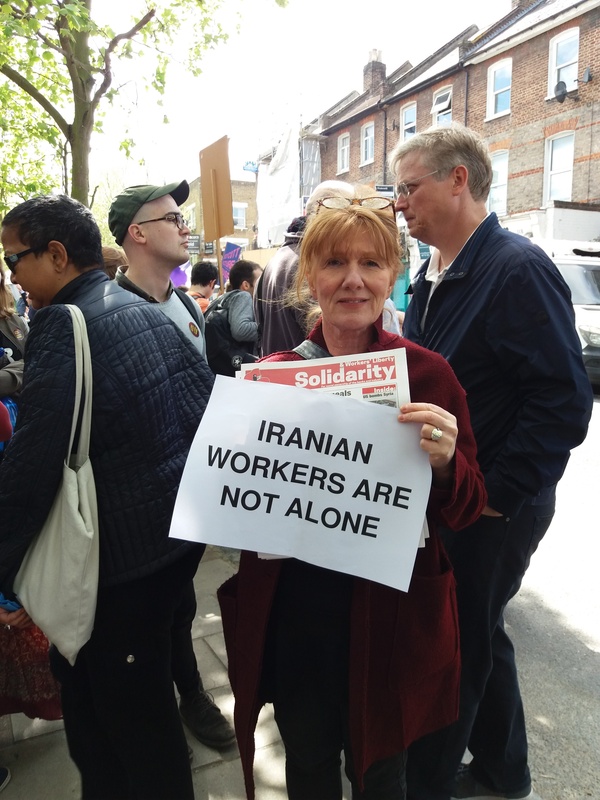 Jill Mountford, Lewisham Momentum (Labour Party left group) co-chair, showing her solidarity with Iranian workers’ struggles. Chris Marks, Secretary of Manchester Trades Union Council, showing his solidarity with Iranian workers’ struggles.